CUNY Dreamers founder, Monica Sibri, right, and another member recount their tearful message to the student body after the USS delayed chartering the student-led organization. Photo by Tatyana Bellamy-Walker. 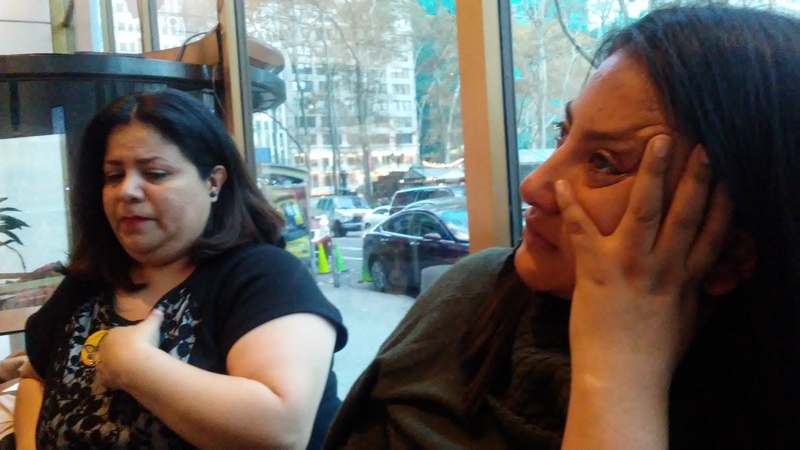 Members of CUNY Dreamers cried after the University Student Senate (USS) delayed the chartering of the club. USS tabled the decision so it could re-examine the constitution of an advocacy group for undocumented students. 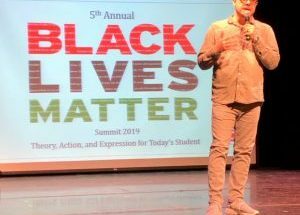 For nearly two hours, USS delegates meeting at Guttman Community College in Midtown debated the resolution, which was a last-minute amendment to the agenda. The resolution’s passage, however, now seems bleak. “We did not want to come to a decision without having information and acting straight out of emotion,”said Haris Khan, 20, a senator from City College, who voted in favor of chartering the organization. “And because none of the delegates had access to the organization’s constitution, which [access by USS] is required by the bylaws, various sub-groups of the senate decided to not continue with it today.” The resolution would provide official recognition to the student-led group. The chair of USS did not respond to direct requests for comment at the meeting. 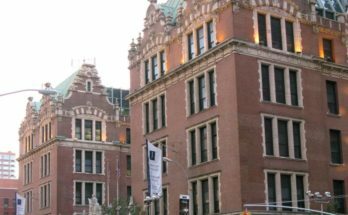 The decision to delay the approval of CUNY Dreamers comes after the New York Daily News reported that Queens College ended an 11-month legal battle with a pro-life student group, who had been denied official recognition by the local student body last year on the basis of discrimination against their beliefs. “As an allocating student we do not discriminate. We want to make well thought out decisions by examining all the evidence,” Khan said. Without official recognition from the USS, CUNY Dreamers have limited access to funding. In a statement to the student body, founder Monica Sibri a alumna of the College of Staten Island said she pays about $200 out-of-pocket to maintain the CUNY Dreamers website as well as the newsletters. After the meeting, a dozen undocumented students huddled in the lobby of Guttman College and recalled their tearful messages to the student government. Brooklyn College delegate, Zunera Ahmed said she is disappointed with the delay of CUNY Dreamers. 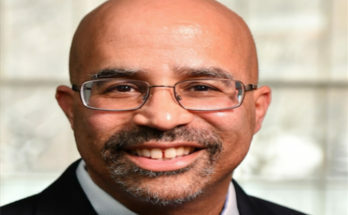 The USS Ad-Hoc committee will further review CUNY Dreamers on Dec. 3.